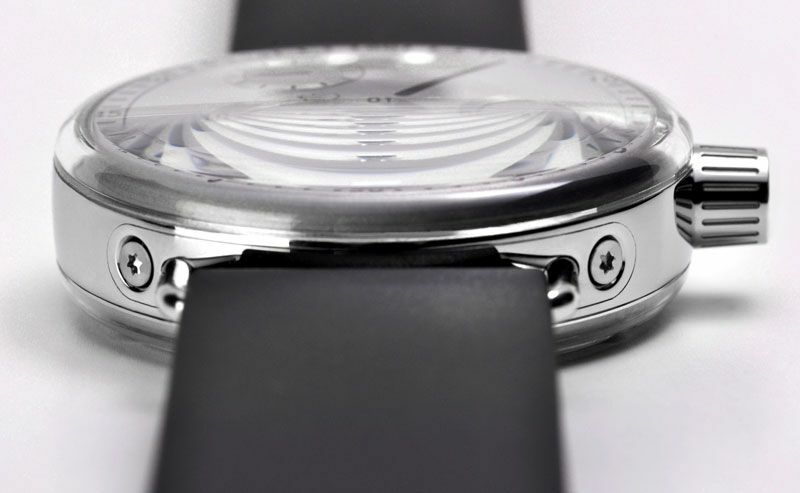 One of the nice treats in the watch industry, is when a small independent watch brand comes with something amazing. 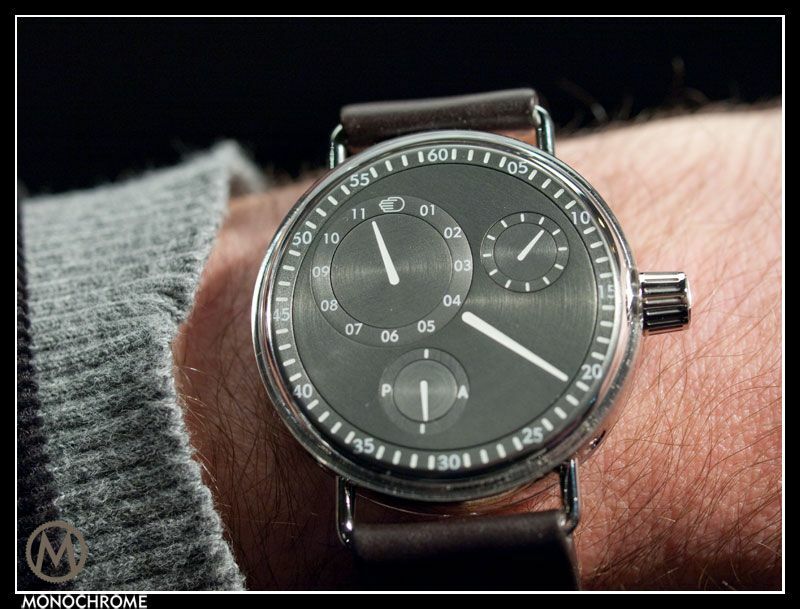 Ressence is such a small independent watch brand and they have released something truly amazing! 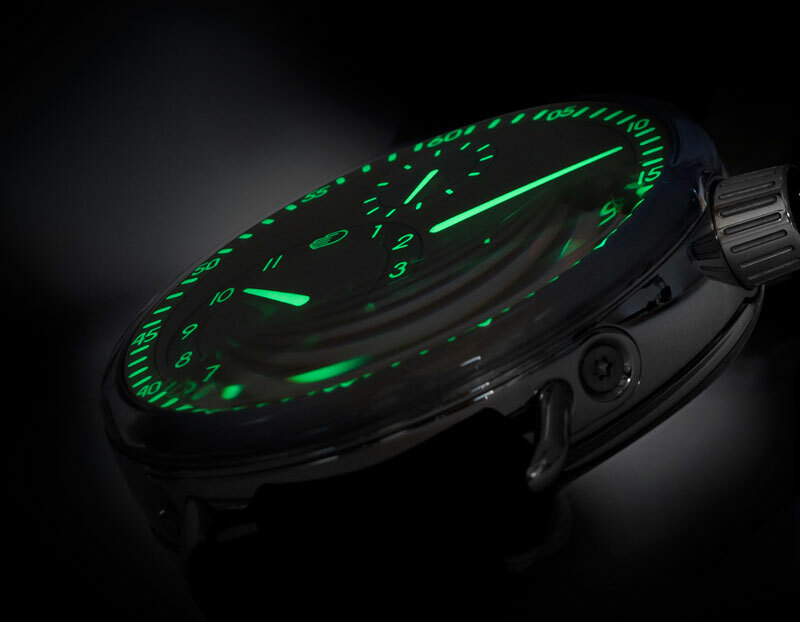 At Baselworld 2010 Ressence launched their first watch collection, the Zero Series. To every ones amazement the Ressence had similar functions as the Harry Winston Opus X. This sort of coincidence doesn’t happen often, but is mighty nice for watch aficionados. Benoît Mintiens, a Belgian industrial designer and the man behind brand Ressence, must have been amazed as well! 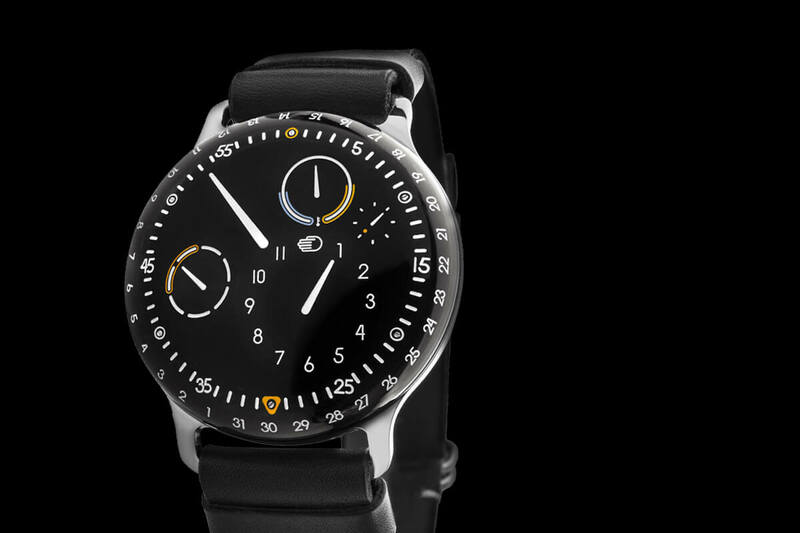 The Ressence Zero Series displays time on a revolving dial with integrated subdials that also move around. The large dial indicates the minutes, while the sub-dials indicate the hours, seconds and AM/PM. At first you will probably have to look twice (no pun intended) to read the time, but from there it is very intuitive to read the time from the Ressence Zero Series. The design is very clean, both the dial (with sub dials) and the case, and features stunning details. The sapphire crystal for instance, looks amazing. It features a domed crystal similar to many vintage watches of the 50-ties and 60-ties. Also the so-called wire lugs, secured in the case by four screws, refer to vintage watches. The crown’s design perfectly fits the design and has a safety in oder to prevent changing the time inadvertently. 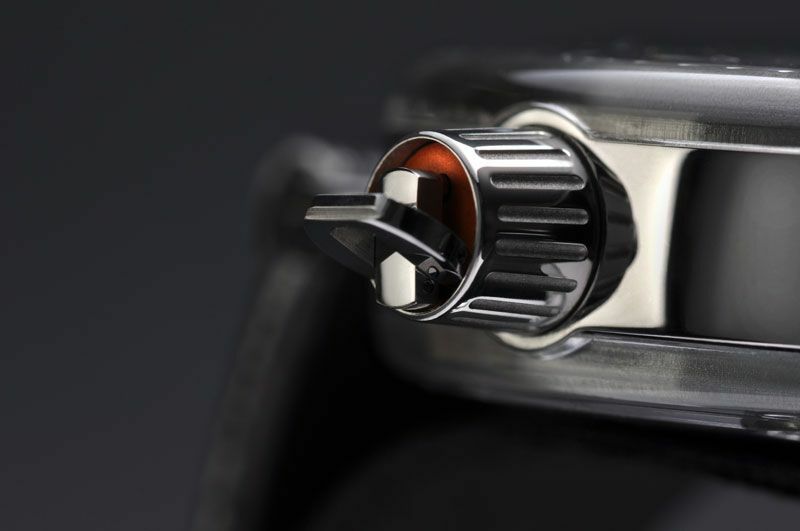 The patented display system features a revolving module driven by a modified automatic Swiss caliber (ETA 2824). 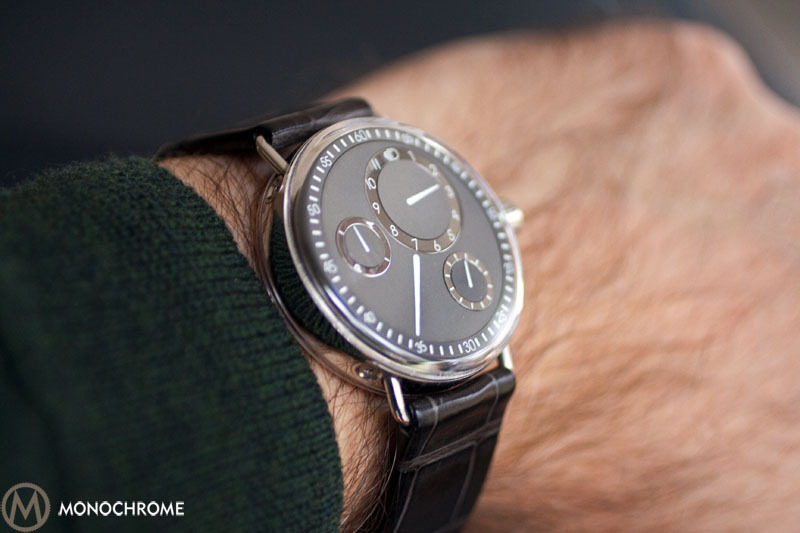 This module is designed and developed by Ressence. The biggest challenge with modules like this is to keep the energy consumption as low as possible. The energy necessary to revolve an entire dial with integrated sub-dials, is most likely more than the energy to make 3 hands go around. 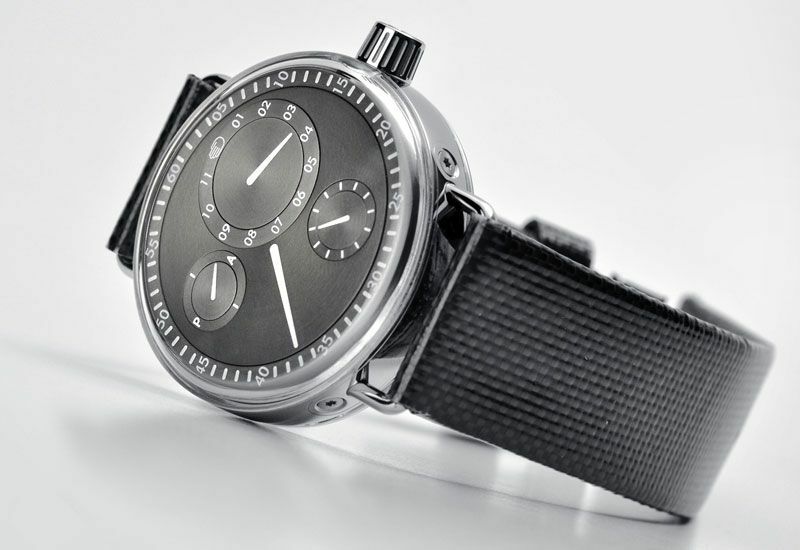 To reduce the energy necessary for revolving the dial and sub-dials, Ressence used ceramic bearings and made the frame and dial-satellites of aluminum (aluminum is very light). All adjustments are made with the crown. The movement and module have a total of 38 jewels. There are four different dials available in the Ressence Zero Series, it is available in a 42mm titanium or steel case and you can choose the position of the crown to be either at the 3 o’clock or 9 o’clock position. The price is between 9,500 and 11,500 euro before tax. 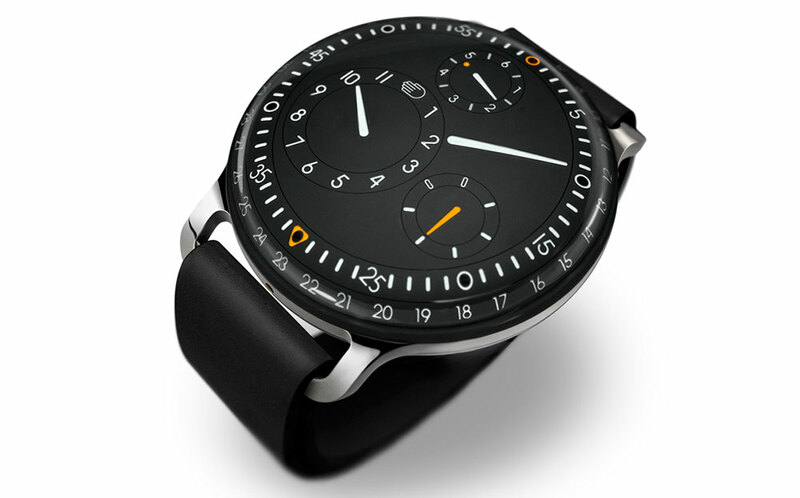 The Ressence Zero Series will be available at De Greef in Brussels and Chronopassion in Paris. 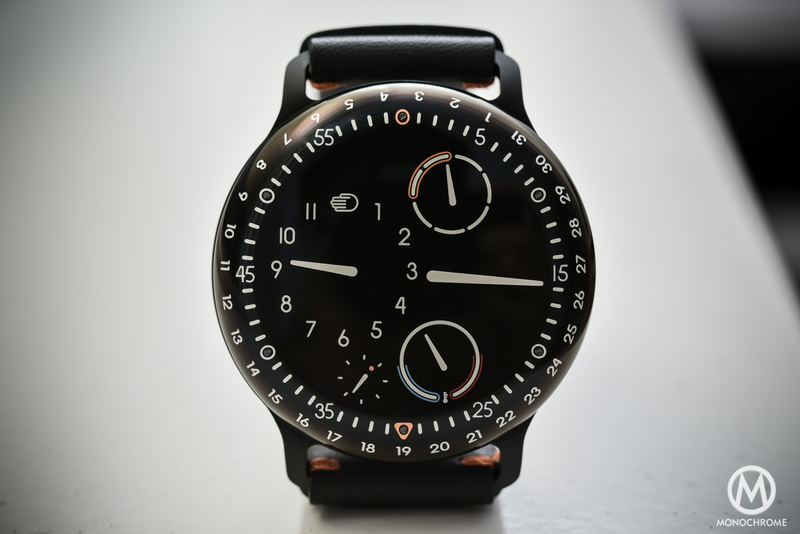 More information can be found at the Ressence website. I absolutely love this watch. One for me in titanium please. When I saw the first picture last year, it hit me already.